I generally try not to devote column inches to jackasses. Meaning I do not like to kvetch about them in my blog. Or in my life, for that matter. Last week, weather patterns seemed to churn, resulting in a hurricane of jackasses headed my way. There was the jackass on Twitter, who wanted to publicly scold me for accidentally including her in a communication meant for someone else. Oh yes, half a dozen tweets and a full 12 hours later, she was still at it, sure I was spamming her. I ignored most of it but her vitriol and self-righteousness got to me in a way it normally would not have. I have to wonder if she would be so intolerable in person. Perhaps she really is that miserable in real life. Or, maybe she is just another online bully, who uses the Internet ether as a buffer for her aggression. There was the woman in traffic who insisted on going five miles below the speed limit on a two-lane road, making me late for a meeting. When the person behind me could take it no longer and passed her, she made sure to cut him off at the traffic light. In the process, she caused about 25 cars miss their green light by blocking opposing traffic. Did I mention it was rush hour and we were all trying to get to work? Let’s see—then there was the guy who was hawking more blog followers. The more I questioned him on his system, the more I realized this was just another scheme. Many bloggers and tweeters want pure volume. They want a “follow” regardless of whether that person looks at their content regularly or not. It’s a pure numbers game. Not really my style. I actually blog because I’m a writer. I have something to say. And hopefully it strikes a chord. I’m happier with 2,000 followers that read regularly than 20,000 in name only. I’m unusual in the online world, though. And plenty of people are willing to take money to perpetuate this numbers game, regardless of how much noise it contributes to the blogosphere. This guy was one of them. Say it with me now: jackass. I’d love to throw a couple more at you, but telling you the stories would hurt people I love, so I’ll stop here. Suffice it to say, I was feeling cynical. Losing my faith in humanity. In the basic values of kindness and decency I try to teach my kids. Normally, the jackasses do not get me down. But some weeks, I’m tired. My boys may be acting up. I may have gained five pounds. A friend may have gotten a bad diagnosis. No matter the reason, my usual jackass armor wasn’t working last week. My antidote? My world got temporarily smaller. I stopped trying so damn hard to be all THAT and more. I just let myself be and dealt with the immediate tasks at hand. No planning for my financial future. No mapping out my career plan. No trying to be anything other than what I am, incomplete as it is, at this very moment. I shut off the computer—completely. I exited that crazy online world we all spend far too much time in for the saner world of ten-year-old boys. My son had friends over. I cooked and baked and generally played den mother. He went to sleep with a smile on his face, saying, “Mom, this was just the best day. Thank you.” Which put a smile on my face. I stopped trying to write my usual second blog entry of the week. The screaming meanies that had invaded my mind weren’t exactly conducive to good writing. I have a couple of bad drafts I’ll get to at a later date, but they weren’t fit for public consumption. I told Gretchen Rubin to stick it. Politely and in my own head, of course. Her Happiness Project book, with all its ambition around making life happy and perfect, did not sit well with me this weekend. I read nothing that might improve my sweet self and loved it. I toasted myself with a glass of champagne, celebrating–yes, celebrating–that I’m at times imperfect, irrational and a biyatch. I prefer to think of it as superbly human. Aren’t we all? Oddly enough, when I gave up striving—trying to explain my mistake to an irrational bully, to continue to strive for an unattainable ideal of happiness, to get my fellow drivers to act sanely—the world came back into focus and order. At least my small corner of it did. My kitchen got cleaned. Home-cooked meals were served. The lawn got mowed—and as an added bonus, my neighbor invited us over for burgers on the grill after the grass was cut. Somehow, through focusing on the moment and the small tasks in front of me, my sanity was restored. This week, I am sure the world is still rife with jackasses. But I realize again that it’s also rife with kind, sane people like my neighbor. And the quote that I now have taped on my bathroom mirror? “Don’t try to win over the haters. 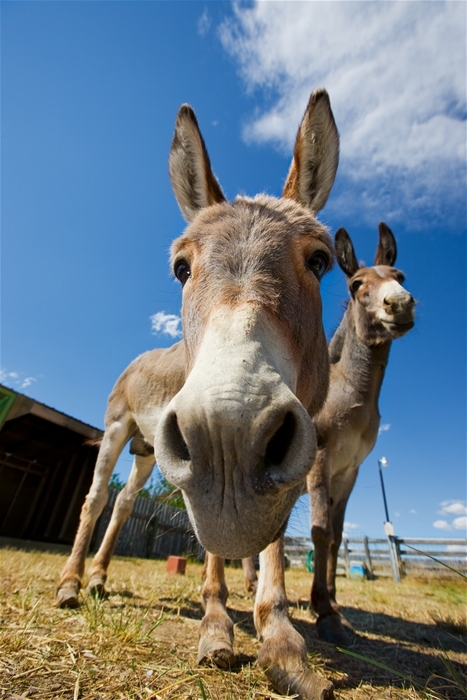 You’re not a jackass whisperer.” Thanks, Brene Brown. This quote, along with a whirlwind of kitchen activity and a loooong bubble bath, saved me from another jackass-laden week. There will be no more weeks devoted to jackasses. They’ll be lucky to get five minutes of my time from here on in. Here’s to a jackass-free day for you and me, friend. 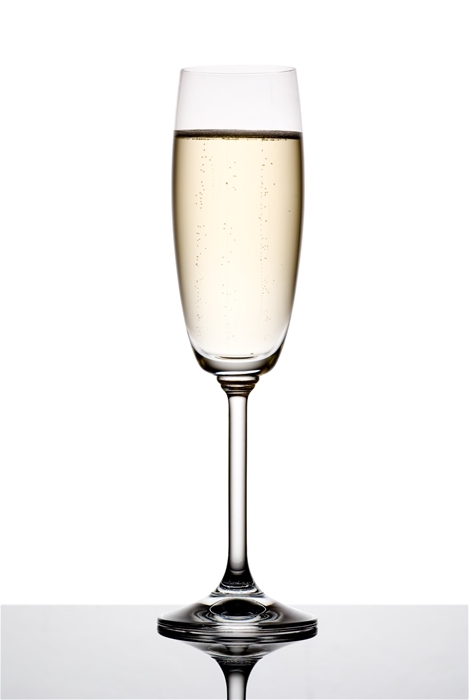 And if for any reason that wish does not materialize, I have three quarters of a bottle of champagne in my refrigerator. And a great big bathtub. Now that’s jackass armor if I’ve ever seen it. Haha, you hit a homerun in this post sister! Amen!! Loved it. Thanks for sharing and reminding me not to give the jackasses in my life so much time and energy. Bless you. And that’s the ticket! I’ve decided not to let them rent so much space in my brain:). A few years ago life was insane and I felt like I was wrestling a crocodile, every damn day. It finally dawned on me — drop it. Just DROP it. Same idea. Walk away from people whose behavior is toxic and rude and selfish and create a space where you can control how great everything is. Even for a day. Good for you for doing so. I’ve got plenty of patience for tom-foolery, but I absolutely will not accept jack-assery. What a wonderful post! Not only is there the reminder that I am not a jackass whisperer–oh, that Brene Brown!–but the comment regarding light and unicorns is brilliant. When I immerse myself into any moment, comfortable or not, I focus completely. here just isn’t room for anything else. Again, great post. You’ve hit on the key to success. It’s when we make room for “anything else” that we get ourselves in trouble. In the oddest way, I think what you just said is excellent therapy:). Thank you! After I have spent a few weeks trying to sort out anger and resentment and wonder where forgiveness was supposed to fit in and whether there was such a thing anyway; you sending the quote by Brene Brown “Don’t try to win over the haters. You’re not a jackass whisperer.” was a life-saver to me today. Good! Now stop whispering to the jackasses:). What a great read. And what a great quote. I’ve seen it somewhere and loved it then and love it more now. One of my favorite words also:). Love right back ‘atcha. I just came across these wise words on Pinterest just after reading your Jackass blog ” Trying it understand the behavior of some people is like trying to smell the number 9.”! Hawking blog followers? That’s a new one on me. I am getting more and more choosey about who I follow, as the time spent reading blogs, (and they are interesting the ones I follow), is swallowing up big chunks of my time! I couldn’t agree more. As usual, you’re right on the mark. We all (probably) have days like this, when life just doesn’t fit our proscribed ideas and it feels like we are assaulted by jackasses. I’ve just had ten of those days. In a row. My strategy is the same as yours; shut off the electronics, get back to real life. Tend to what needs to be done, in the physical world. Feeding our loved ones, champagne, hot bubble baths, meditation, deep breaths, re-gaining perspective. Well done. I’m sorry to hear you’ve had a string of 10 days! Let’s break that today, OK? Sending you good thoughts:). Awesome post! I loved reading this one and I love your jackass armor! I think I’ll stop and pick up a supply of jackass armor this afternoon, that way I’ll be ready when the time comes. You go, girl:). Hopefully you won’t need that armor . . . So sorry you had to endure such inanity and vitriol. But happy that you stumbled on a life outside the ether that brings lasting substance and joy. The numbers game can’t possibly compete with play time and smiles from a child or the smells and tastes and tactical yum that one finds in the kitchen. Good on ya for stepping away from the net and getting some air. I go through this all the time! I’m going through it today. I’ve taken to also staying away from the screen when I can and have fallen back to the paper and pencil for solace. I think it was my grandmother who told me, “Some people are jackasses so you don’t have to be.” *raises beer glass to your champagne flute* Cheers. Your grandmother was one wise woman:). Beer glass toast accepted!